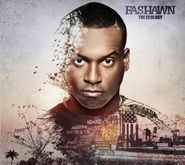 Fashawn is an artist who transcends labels and is respected by all schools of hip-hop. His second official solo album is out on Nas’s new label, Mass Appeal Records, and Nas is among the guests, along with BJ The Chicago Kid, Dom Kennedy, and Aloe Blacc. Despite having a reputation for not being the most desirable place in California to live in, Fresno has a history of bringing the world some great artists - with Fashawn being a prime example. Fashawn, an artist who transcends labels and seems to fit in with and be respected by all schools of current hip-hop/rap, has just unleashed his second official solo album, The Ecology, which is the long-awaited follow up to 2009's Boy Meets World. He has been far from idle in the meantime, working closely with other artists such as The Alchemist and Murs, with whom he recorded the collaborative albums The Antidote and FASHionably Late and This Generation on Duck Down respectively. LA super producer Exile, who produced Boy Meets World, returns behind the boards for most of the album with additional producers including Beewirks who produced the track "Guess Who's Back." The Ecology is released via Nas’ new label Mass Appeal Records and Nas is among the guests, with others including BJ The Chicago Kid, Dom Kennedy, and Aloe Blacc, who also appeared on the first Fashawn album.